An experiment by the US Army testing for high floatation against deep mud. This photo is from an Aberdeen Proving Grounds film. 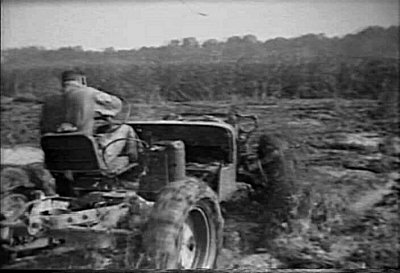 Large tires fitted from a 2 1/2 truck have been mounted to a cut-down jeep. Even equipped with locking differentials and chains this jeep didn’t do much better than a stock jeep. You can see the entire sequence on the film available from Vintage Videos “Nothing but World War II jeeps” DVD. 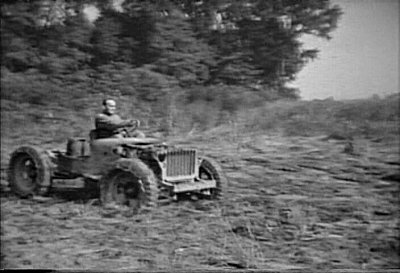 Picture Source: Nothing But Jeeps DVD, available from Vintage Video.